British Columbia is a vast and diverse natural region located on the Pacific Flyway that hosts many world-renowned birding locations. Tofino's has birding for the novice to the big year birder. We offer tours up the inlets to Cleland Island Bird Santuary and out to the where the Continental Shelf meets the Pacific Ocean. Up to two hundred species may be seen in our region in a single year, and a total of 360 species of birds have been recorded in our region to date. Among the more readily visible species are Bald eagles, the sapphire-blue (and vocal) Stellar’s Jays and the storied blue heron. Bird watching can be done on foot and by boat. A boat trip to Cleland Island ecological reserve can result in sightings of seabirds and shorebirds such as Wandering Tattlers, Surfbirds, Rhinoceros Auklets and Tufted Puffins. On pelagic trips farther offshore one may see albatrosses, shearwaters, storm-petrels, jaegers and others. Our birding tours are designed to satisfy the needs of all bird watchers, from the brand new to the seasoned veteran. 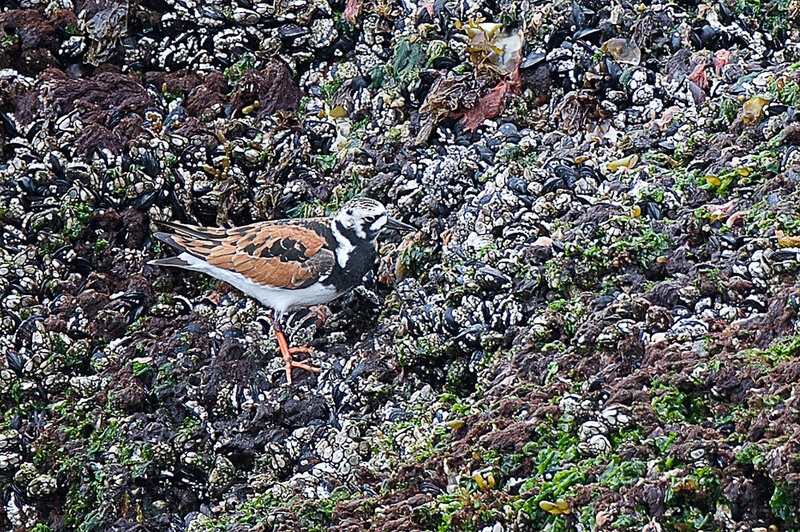 Our regular 2 ½ to 3 hour tour to Cleland Island Ecological Reserve explores the world of birds on the west coast of Vancouver Island and the local natural history. In 1971 Cleland Island became the first ecological reserve in British Columbia. The island serves as a rookery for a number of seabirds including the Rhinoceros Auklet, Pigeon Guillemont, Black Oyster Catcher, Marbled Murrelets and Cassin's Auklet. On this Bird Watching Tour you can also view Tufted Puffins, Bald Eagles, Whimbrels, Cormorants, and more. This tour will be lead by an experienced guide who can help with spotting and identification. Our open air 12 passenger Boston Whaler vessels are excellent for viewing and photographing wildlife. With twin high horsepower engines you are ensured a safe and exhilarating ride through the waters off Tofino. The driver is located in the centre of the boat to ensure they can communicate with guests. This tour is offered April to October. To book please call our office for departure days and times. The pelagic tour is a six hour trip designed for the more advanced birder. This tour departs early in the morning on a calm day to venture up to 25 km offshore to the Clayoquot Canyon to view birds and marine wildlife. On our 30 ft Boston Whaler the Goolka with Guide John Forde, we adventure out to to view sea birds, whales, dolphins and so much more. On previous tours we have seen Short-Tailed Albatross, Northern Fulmar, Sooty Shearwater, Laysan Albatross, Tufted Puffins and our feather in our cap bird sighting: the Brown Booby! We just saw Parakeet Auklets on March 29th! Grey Whales, Fin Whales, Humpback Whales and Killer Whales can also be seen on the Pelagic Bird Watching Tour. This tour will be led by an experienced guide who can help with spotting and identification. Please note this tour is not offered daily. This tour is dependant on good weather and sea conditions. Upcoming Pelagic Tour Dates: Saturday, March 30th and Saturday May 18th. Our open air 12 passenger Boston Whaler vessels are excellent for viewing and photographing wildlife. With twin high horsepower engines you are ensured a safe and exhilarating ride through the waters off Tofino. The driver is located in the centre of the boat to ensure they can communicate with guests. Washroom on board. If you are interesting in booking on a tour or getting upcoming tour info please call or email us. Please note: We require calm sea conditions for this tour, dress warmly, bring snack + drinks. Don't forget to charge your camera batteries! See the CHECKLIST from our last Pelagic Tour March 29th, 2018. Fully guided tour with experienced, qualified and passionate skippers to answer all your questions. We use open 12 passenger Boston Whaler vessel with high-power twin engines. You are provided with protective floatation suits, gloves and toques. We recommend you dress warmly with layers: sweaters, long pants, closed toed shoes and maybe a windbreaker to wear under your NEW Mustang Survival Suit. Bring your sunglasses, sunscreen, a camera, snacks & water and your sense of adventure! Each passenger is required to sign a Release of Liability at check in. Participants must be 19 years of age, or require a parent or guardian to sign on their behalf. Check in time is 30 minutes prior to departure time at our office at 411 Campbell Street. An eco wildlife conservation fee of $3 will be added to each fare in support of Strawberry Isle Marine Reseach Society. Add 5% tax to all tours. Group rates available for 6 or more. We have recorded sightings of the following species on our pelagic tours: Short Tailed Albatross, South Polar Skua, Tufted Puffin, Horned Puffin, Fork-tailed Storm Petrel, Phalarope Storm Petrel, Jaeger Storm Petrel, Red Phalarope, Marbled Murrelet, Xantus’s Murrelet, Black-footed Albatross, Laysan Albatross, Flesh-footed Shearwater, Buller’s Shearwater, Pink-footed Shearwater, Sooty Shearwater, Pomarine Jaeger, Parasitic Jaeger, Long-tailed Jaeger, Black-legged Kittiwake, Surf Scoter, Sabine’s Gull, California Gull, Herring Gull, Glaucous-winged Gull, Common Murre, Northern Fulmar, Cassin’s Auklet, Rhinoceros Auklet and Brown Booby. Read guest Adam Blake's field notes from a Tofino Pelagic Bird Watching Tour with us!